Older hot water tanks can have buildups of rust and corrosion over the years that may be polluting your hot water supply and may even lead to the failure of the tank, basement flooding, burns or other serious problems. Don’t wait for a catastrophic failure, have your hot water tanks inspected and regularly maintained. It’s a good idea to flush your hot water tank at least once a year to clear sediment and other buildup. 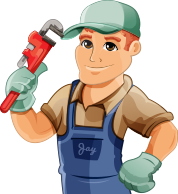 If A Better Way Plumbing & Heating is at your home for some other plumbing or heating work, let us inspect your hot water tank to ensure that everything is safe. You don’t want to be without hot water on a cold Calgary day.